OHS is a school for gifted/talented & academically curious/motivated girls with supports for other selected IEP needs. We support and welcome gifted and academically curious girls who may or may not need supports for giftedness, dyslexia and/or dysgraphia (handwriting/fine motor), anxiety/emotional sensitivity, and other select IEP learning needs (e.g. short term memory LDs). Odyssey Heights welcomes applications from all girls (with and without IEP learning needs) who love small classes & personal attention, horses, visual arts (including knitting, weaving, and other fibre arts! ), hands-on science, nature, and spending time learning with their peers in the outdoors, and have a positive, caring, and kind character. Consideration is given to students with IEPs who are performing below grade level due to a lack of appropriate and/or sufficient accommodations and supports. There is a optional transition program for students that can start in the spring or July term before the student’s first school year at OHS. Please Note: Admissions decisions are focused on the overall fit of each applicant with her year cohort of applicants and peers in her grade and the grade above. OHS tries to ensure that girls have one or more classmates with similar learning support needs, so all girls feel included. All students, even those without IEPs, are taught how to use, and do use effective assistive technologies (e.g. text to speech, organizational apps) on their iPads. This ensures the most effective and organized shared learning and social experiences. Created to Serve the Needs of Students with IEPs & Those Who “Conventional” Schools Don’t Work For. Students with IEPs are why Odyssey Heights School for Girls was created. Our Director and Founding Principal, Ms. Elizabeth McCready has worked with students with IEPs in her professional Academic Coaching practice since 2001 and specializes in students with giftedness (including high performance athletes & pre-professional dancers), dyslexia, anxiety/emotional sensitivity, other learning disabilities (short-term memory, executive functioning), and ADHD. She became increasingly frustrated with repeatedly seeing wonderful gifted and capable students mental health and self-esteem plummets from ‘falling through the cracks’, because their needs were not being understood or met at school, and their schools were not learning and/or social environments conducive to their positive mental & physical health. Odyssey Heights is a school whose creation began with creating a positive, supportive, and enriched program, so teens with and without giftedness, anxiety, depression, ADHD, dyslexia and/or learning disabilities can be safe, inspired, and successful. Dana Sahian’s video is so close to why and how Odyssey Heights is 1:1 iPads that there’s no need for OHS to create our own video. Not only is she a Speech Language Pathologist and Assistive Technology specialist - she’s also a mom of a young teenage girl who uses her iPad like this for school. Of particular note are the apps: Inspiration, Quizlet, and Notability, as well as iOS Reminders/Lists, text to speech, and speech to text. The structure and programs at Odyssey Heights are ideal for both gifted students, and gifted students with other IEP needs (anxiety, LD, ADHD,...). The Learning Communities that combine two grades ( 7&8, 9/10, 11/12) facilitate working at higher grade levels in one or more subjects, and provide leadership opportunities for girls to peer teach younger students (both often recommenced IEP accommodations for gifted students). The flexible pacing of both online and blended learning courses allow gifted students to work ahead, or study topics they’re interested in in depth. A maximum in class student to teacher ratio of 10:1 means more individual attention for all students. With Ontario certified teachers for all online courses, even though Odyssey Heights is a small school, our students in all Ontario Secondary School Credit courses and a classroom teacher as an academic coach. The only GIRLS SCHOOL focused on supporting girls with dyslexia and related learning disabilities in a girl positive social environment. Odyssey Heights is a 1:1 iPad with keyboard & Apple Pencil school. All Apple devices have text-to-speech and speech-to-text as part of iOS and MacOS. For students with dyslexia, reading materials can easily be converted to “Dyslexie” font - a special font created by and and for people with dyslexia that aids in reading text. For grades 9-12, as all the credit courses are online, students can work at their own pace, and materials are in accessible formats. **Girls with NV LDs typically are above average to gifted intelligence, are more mature in their speech and vocabulary usage than their peers. Daily exercise, sufficient sleep, and a healthy diet are key factors in alleviating the symptoms of anxiety and depression. The late start at 10:30 am allows girls to sleep more and to avoid the worst of the morning rush hour crowds. Our nature, adventure, and mindfulness physical education is specifically designed to support mental health. Blended learning and online credit courses mean students don’t miss content when they miss school, and they can review. As our director and founding principal Ms. Elizabeth has overcome PTSD and panic disorder, (and has not had a panic attack in over 12 years), there is great support and empathy for girls with mental health needs, as well as a strong role model and advocate. All teachers have Mental Health First Aid Certification. Girls with Attention Deficit Hyperactivity Disorder have different behaviours and different social needs than boys - yet most schools with specific ADHD supports are boy focused and have far more boys than girls. Part-time and half day options allow busy pre- professional dancers and high level student athletes to complete their schooling and have a peers to work with, while having time to focus on their training. For athletes and dancers that travel frequently, attending class via video conferencing can be discussed with the principal. 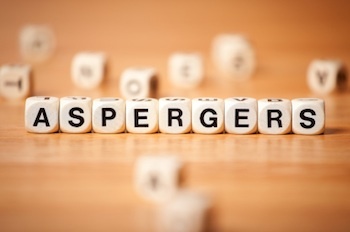 As the symptoms and educational & social needs of girls with Aspergers vary extremely widely, admission decisions are on a case by case basis, to ensure the best educational and social fit, and long-term success for girls. While Odyssey Heights doesn’t have Aspergers/autism specific interventions, our small classes, individualized and experiential learning, and integrated assistive technologies may be an excellent fit for some girls with Aspergers/mild autism - especially those who work above grade level in one or more subjects with appropriate supports and accommodations and/or who are highly motivated by horses and time in the outdoors. Accommodations available are similar as those above for dyslexia, anxiety/emotional sensitivity, and select learning disabilities (e.g. short term memory LD). Please Note: Odyssey Heights School for Girls/École pour filles Odyssey Heights is NOT a school for Troubled Teens. Students at OHS will not be in classes with girls with severe/untreated mental health issues, addictions, or those at risk of harming themselves or others. The safety of our community members is paramount. Girls who are at risk of harming themselves or others cannot be accepted at Odyssey Heights. All students must be academically and socially capable of being positive members of the learning community at Odyssey Heights. Aggressive, disruptive, or violent behaviours are not tolerated and will result in immediate suspension, most likely expulsion, and potentially legal consequences.